Last weekend was Memorial day. I had plans to ride on Saturday, which were rained out, then to ride on Sunday, and it rained again, so luckily Monday was dry so I could get in my training ride (yay, three day weekend). 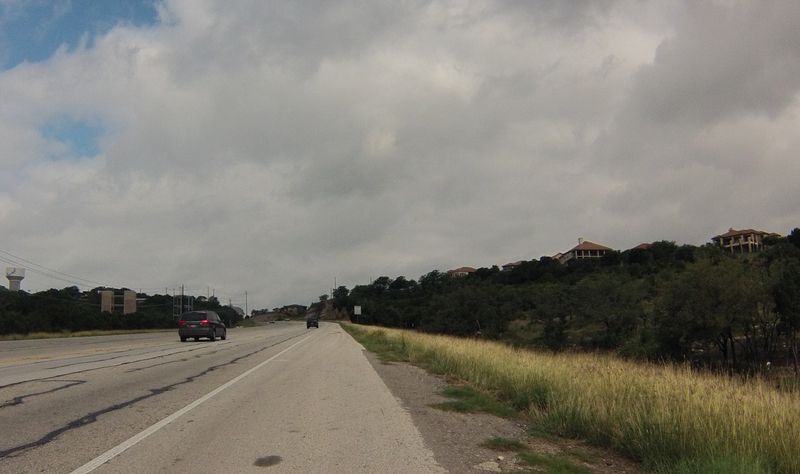 Because the group ride I had originally planned to participate in was cancelled, I decided to head out on a relatively hilly route that the locals call the Dam Loop because it crosses over the Mansfield Dam. I had to add some miles to the normal loop to bring my total route up to 73 miles for the day. While riding my big dam loop I usually change it to big damn loop in my head. This day was no exception, since it started out windy from the beginning. Check out the photos below for the summary of my ride. Why do I ride 73 miles on a super windy day? Well, I do love to ride, but right now I’m three training weekends away from the Bike MS event Ride the Rim that I will participate in out in Canyon, TX on June 22nd. The ride is a 105 mile loop around the Palo Duro Canyon and I can’t wait to finally get to see that part of Texas. This is my 6th Bike MS event. I choose to fundraise for these events in honor of the many people in my life that I know that have been affected by Multiple Sclerosis. Please consider making a donation to the MS Society in support of my participation and to help the MS Society support those living with MS as well as fund valuable research so that someday (soon I hope) a cure is found. 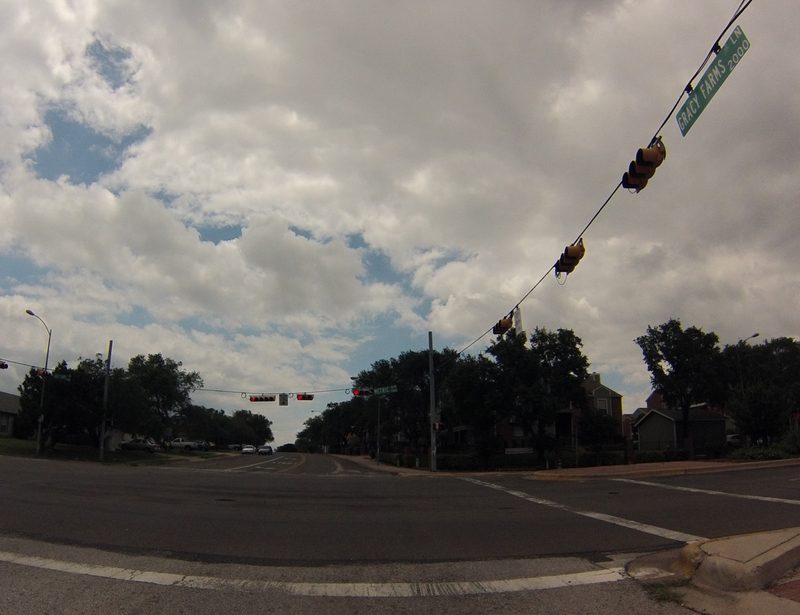 First time riding on Lakeline Blvd – It was wide, relatively flat and had low traffic early on Memorial day morning. 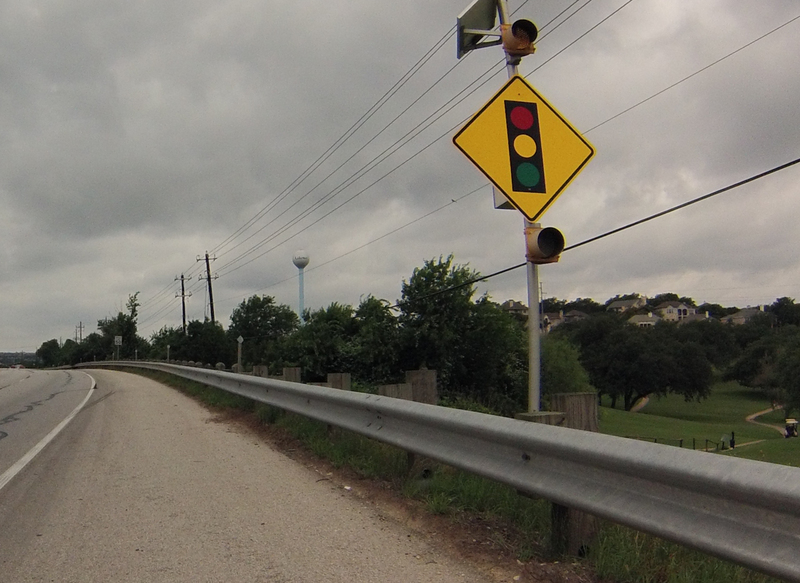 Oh, and a nasty headwind bad enough to make me wonder if I would make the entire ride. Out in the ‘burbs, you see lots of wide boulevards, green grass and signs listing about 20 builders in the area. That’s the sign you see in this picture. 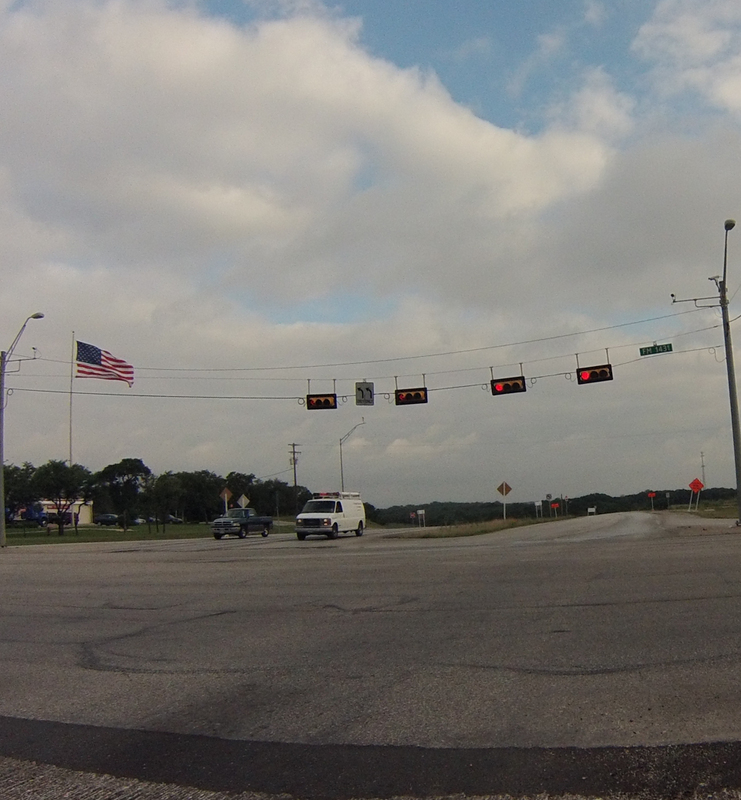 After making the turn onto 620, I was surprised that it was windy, but not quite as terrible as I thought. 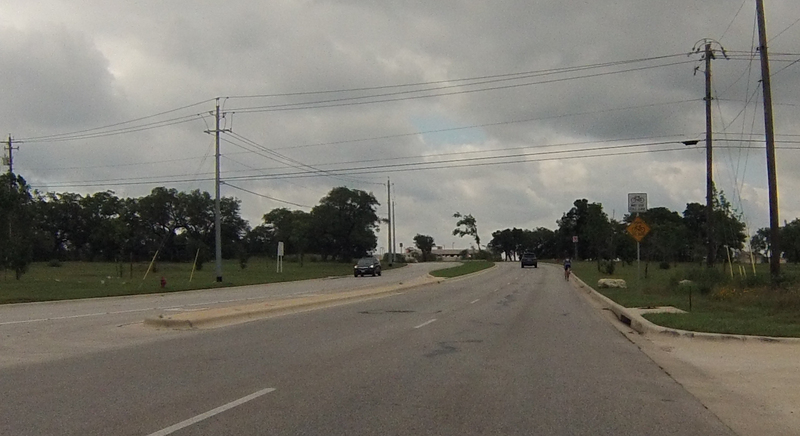 The stretch of Lakeline that I pedaled ended up being the worst wind of the day. Here you can see a few food trailers on the right. Hippy Hollow! Windy Point! Such great views when you ride 620, I think you basically ride along the ridge that goes along the lake. You can almost see the lake on the right. Love the views out here. Now you can definitely see our poor, low Lake Travis. Coming up to Mansfield Dam. Just about to cross the dam. A tiny bit of blue sky! Iguana gill… a tex mex restaurant with decent food and a great view, without the long waits of the Oasis. This picture is for my Dad – a golf course AND a water tower that looks like a golf ball on a tee! 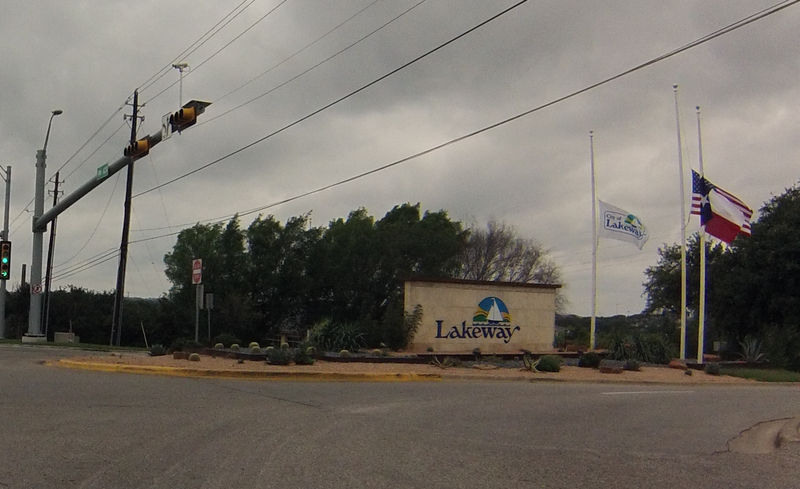 Lakeway has these signs everywhere. Fancy. Some little flags on the corner in honor of Memorial Day. Bee Caves Parkway connects 620 to 2244 (Bee Caves Rd) and is nice and wide. Wide enough for bike lanes actually, but instead they just put up share the road and bikes may use full lane signs a few places along this short road. 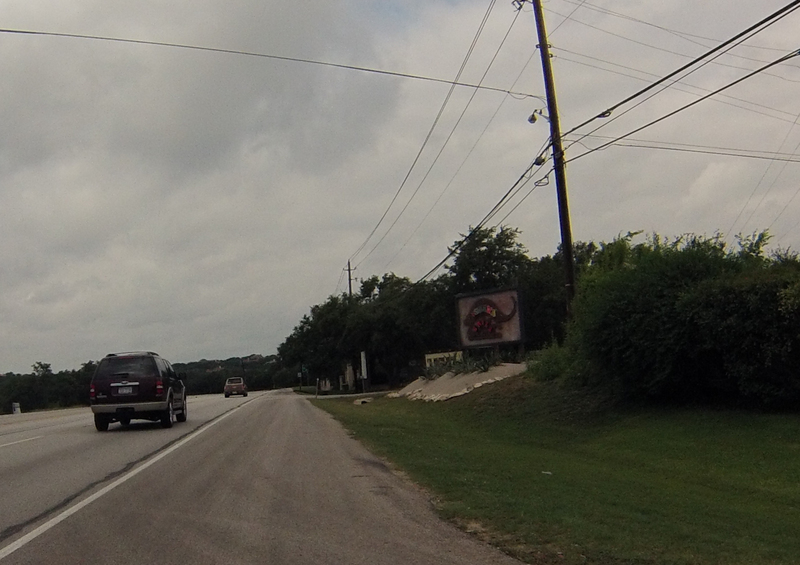 Bee Caves road, recently repaved apparently. It’s a pretty hilly road, but many hills are rollers. 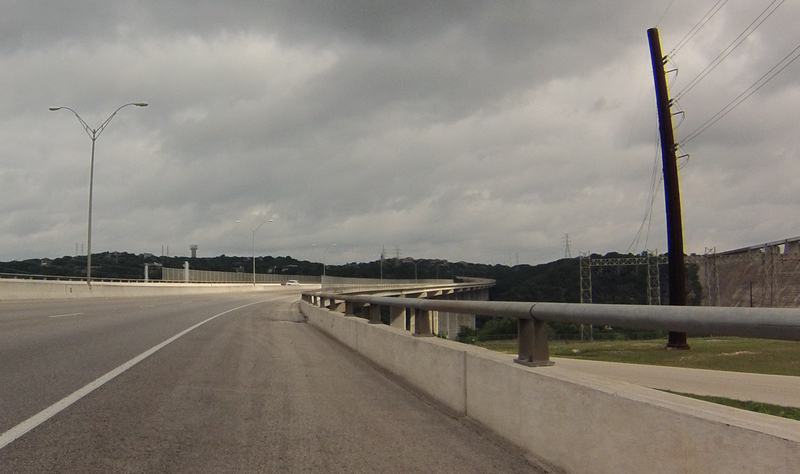 The on ramp to loop 360. 360 has some great views and the cloud cover gave way to some blue skies. I love looking at these small cliffs. 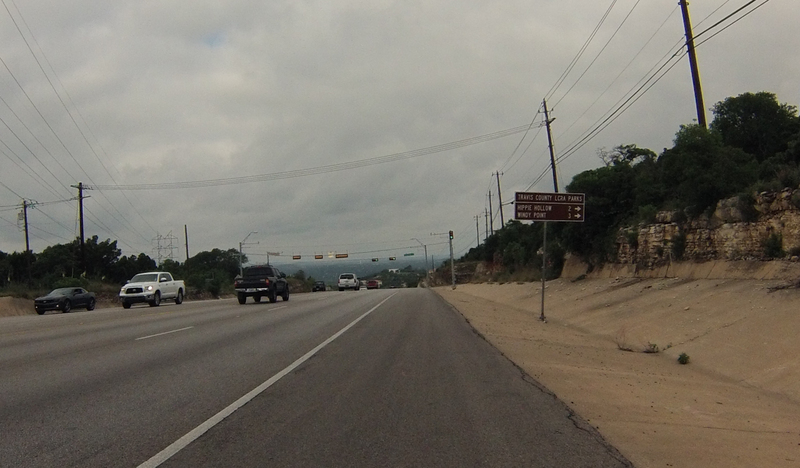 Coming up on the Pennybacker bridge. The approach from the south to this bridge is an awesomely fast downhill. 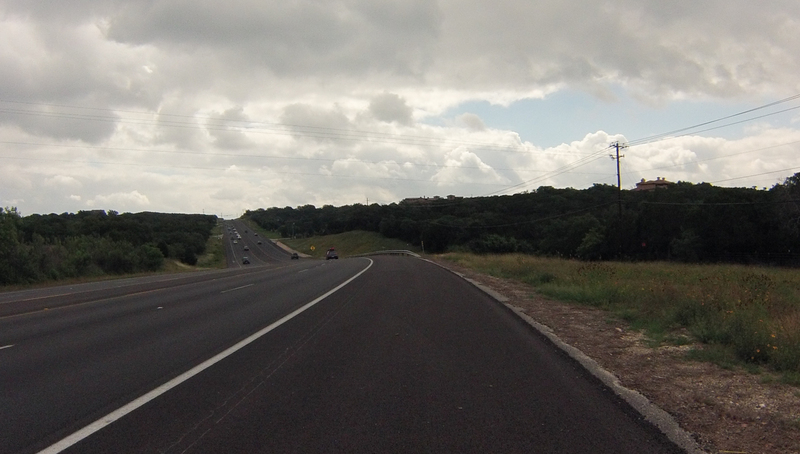 The turn off of 360 into the Arboretum is always disheartening after a long ride. That’s a nasty little hill to climb! Almost home… riding past Tacodeli is usually torture, but I often come back there for a special lunch treat after making it home. Finally crossing Metric into my neighborhood! It’s that time again… training season! Bike MS Training Update: Riding the Armadillo!